It seems like Neil Sorahan, finance chief of Ryanair, has a lot to say about Brexit. According to The Independent, Ryanair's finance chief has lambasted the lack of progress on aviation rules after Brexit. He said, "We're hearing an awful lot about it all be right on the night. But nobody can actually tell me how it's going to be right on the night." Adding, "We absolutely want to keep Britain flying, we want to continue to have operations between the UK and Europe. However, unless people actually start sitting around a table and discussing this, nobody will have this kind of certainty. And that's a big problem for all the airlines." Last week the Transport Secretary, Chris Grayling told the UK Parliament he was "absolutely confident" that there will be an open skies agreement with the US after Brexit. Grayling did not directly address flights between Britain and Europe, but he said, "I am committed to putting passengers at the heart of our transport policy, and that will certainly apply to the arrangements that exist when we leave the EU." Sorahan did address that comment and said, "I hope your Transport Secretary is correct. We would all like that. We'd love to see the UK remain in open skies, and everything remains as is. If bilaterals are not agreed in advance of the March deadline 2019, then there won't be flights between the UK and Europe." 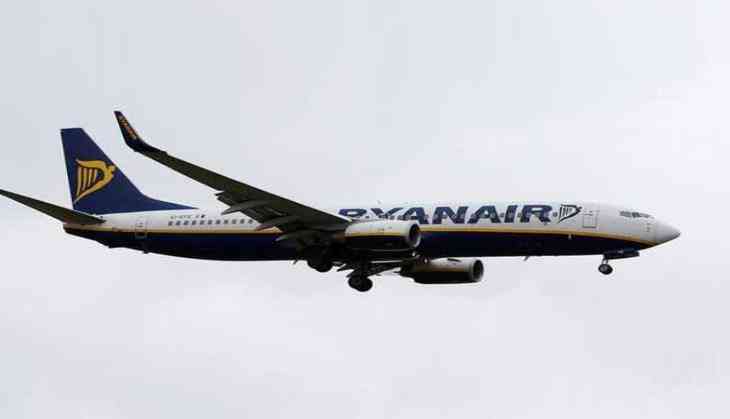 Earlier, Ryanair announced that some or all of its UK-based aircraft would move to continental Europe in April 2019 if no deal was reached to replace the present "open skies" arrangement. Tim Alderslade, chief executive of Airlines UK, noted, "The Government is fully aware that aviation sits outside of the World Trade Organisation system. We have our own rules and regulations in place and therefore we have no fall-back option. The principle of 'no deal is better than a bad deal' does not apply to us." Adding, "We are happy that this message is getting through to Ministers across Whitehall." Mr Sorahan also reiterated that no change has taken place to the airline's random seating system, even though for the past 10 weeks many passengers have complained about their allocations, often in middle seats, a number of rows from their companions. "Our policy is exactly as it has been since 2014. If we go back a few years ago, it's not that long since we were putting on our trainers to run for flights and get the seats that we wanted. Now those who choose not to pay from €2 up are unfortunately ending up being allocated around the aircraft," he shared.